Heating- Radiant Or a Lot of Hot Air! 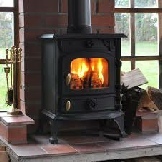 If you think of a traditional open fire or even a modern wood burning stove, all the hot air goes up the chimney, yet these are renown for producing some of the cosiest heat of all. So what is this heat? Its radiant heat. All our heaters are designed to produce radiant heat. Radiant heat does not just rise to the ceiling, it heats the area more evenly. Another interesting fact is the more radiant heat, the less energy is required to heat a room of a given size. Less energy equals less cost! So you can get a cosy more comfortable room and lower electricity bills. Add controllability to your heater via top of the range electronic thermostats working each heater individually and you suddenly have a very efficient heating system. Next:- The Science How Our Heaters Work? In Germany, other parts of Europe and now UK, more and more people are choosing to heat there homes, offices, extensions and conservatories with a unique form of ELECTRIC heating in preference to GAS, OIL, LPG or any other form of central heating or storage heaters. When you see this heating for yourself, you could be next to switch! 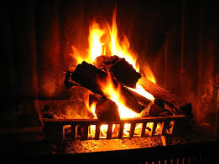 The origin of this type of heating was hundreds of years ago in Europe and Russia, a familiar sight in many houses was a “Kachelofen” a stove made out of fire brick which retained the heat for a long time after the fire had gone out These were covered in ceramic tiles for decoration and to retain even more heat. These were efficient enough to heat the house for up to 6-12 hours after the fire had stopped burning. This technology is the basis our German electric heaters.